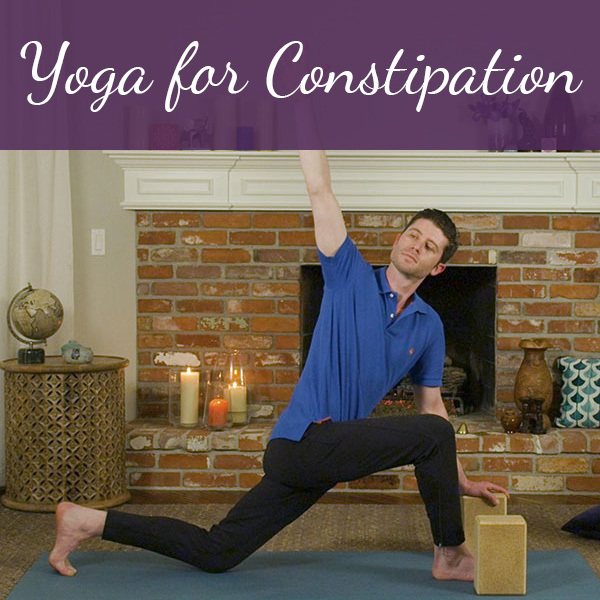 Optimize your bladder control through breath and gentle yoga postures to strengthen the muscles controlling bladder function. Learn how to optimize your bladder control with Dustienne Miller, a board certified women’s health physical therapist and Kripalu-trained yoga teacher, as she invites you to use breath and gentle yoga postures to help strengthen the muscles that control bladder function. Each clearly-demonstrated movement is designed to increase core strength and coordination. 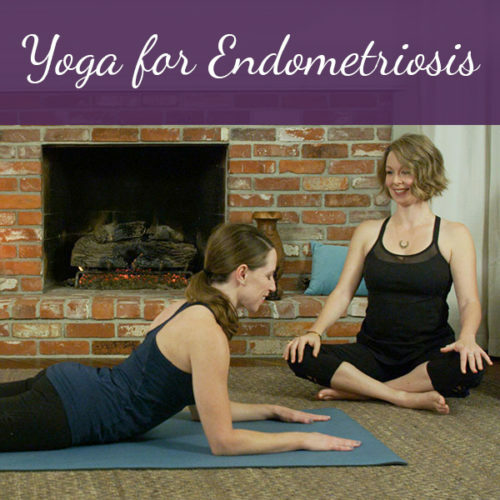 You are safely guided through a home yoga practice, which also includes physical therapy exercises, created specifically to optimize bladder function and strengthen your pelvic floor. 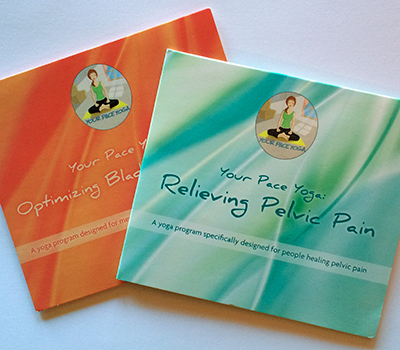 This easy-to-follow, stress-relieving home practice serves as a holistic complement to pelvic floor physical therapy and traditional urological approaches. Gravity Eliminated Flow (practiced lying on your back) is designed to encourage pelvic floor activation and coordination in a position that puts the least amount of load on the pelvic floor. Standing Flow adds the additional challenge of balance and core coordination. Calming Flow is recommended for urge incontinence. Bladder control tips and a comprehensive overview of incontinence are highlighted on the bonus tracks. Each flow works to tone, strengthen and lengthen the pelvic, hip, and abdominal muscles which support bladder function. By integrating these flows into your overall pelvic health strategy, you create another opportunity for self-healing and increase the potential to live your healthiest, happiest life. 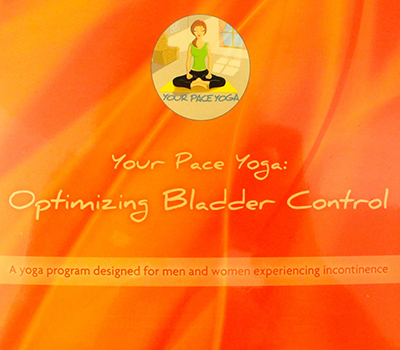 Learn more in the “Optimizing Bladder Control: Strengthening the Pelvic Floor” blog article. It Works! I’ve struggled with urinary frequency for six months. I’ve been doing the program 2x a day for two weeks (I’m eager!). I noticed at first I’d get some relief for an hour or two after the program. In the last few days I’m noticing the twinges of urgency are quieter and easy to ignore. Phew. I almost forgot what it was like to not plan my life close to a rest room. : ). Thank you! Hooray! I’m so happy to hear this! Thanks for sharing! Thank you so much for making this training. I was thinking I was doomed to depends in the near future I just started practicing the sessions. I am on day three. I have done the gravity free session twice and the standing session once. There is a big difference in my in ability to stop myself from urinating before I reach the bathroom. Just with three practice sessions. Pretty amazing. I was using several pads a day. I am down to one. I even spent the morning without one, without a mishap. I sure hope it continues to get better. I will continue to practice. I will keep you posted. I am hopeful to get beyond the problems that have continued to worsen over the last couple of years. I lift heavy feed bags and water buckets on the farm, and I think that has contributed to the problem. .I have wondered if using noni eggs would be helpful. I have not tried them. I am just wondering if using them would help my muscles get stronger, now that I know where they are. Dustienne, could you comment on this? I’m beyond thrilled to hear that you are finding improvements so quickly! A lot of folks use vaginal weights, noni eggs, etc, but I tend to think that if we use our muscles to pull up and in that is enough weight training. For example, you mention working on a farm. If you exhale and pull your pelvic floor up and in while you lift the feed bags, you are offering your pelvic floor support and it’s “against gravity” so to speak. If I were to offer a recommendation for further exploration I would check in with a pelvic PT or OT in your area. The therapist can tailor a program specifically to your body’s needs and your work needs.